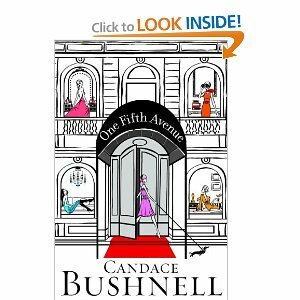 I was completely disgusted by "One Fifth Avenue". Ugh. Is that how women really are? So completely hell bent on status, clothes, having an obedient husband, and living in the right apartment? If so, I don't want to be one. The writing isn't even good. It's bland and mediocre. I didn't bond with any of the characters, and thought they were all vapid individuals, even the one who isn't supposed to be. I debated many times in just putting the book down where I was and never touching it again. But, I was on an airplane and then a train, and needed something to do. I picked it up on a book exchange shelf. But, I don't think it's worth carrying around until I find a place I can exchange it. You know how after you finish a heavy book, and you want something lighthearted and fun to read? That's why I picked this one up. I had just finished Shantaram, and needed something a bit on the lighter side. Plus, it was free for my Kindle, and it was about cooking. Score! The book itself is good enough. It was pretty predictable. I knew fairly early on how the whole book was going to play out. I still enjoyed the book. In fact, a little predictability was nice here. 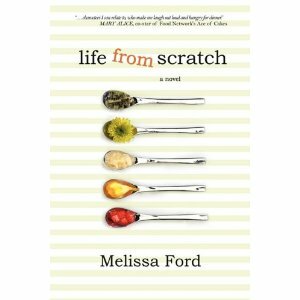 The story is about Rachel, who after her divorse starts a cooking blog. But, it's more of an how-to-fry-an-egg blog. What she finds out is that she really starts telling her story through a few notes on how to make toast. She also starts dating again. After Rachel wins a Bloscar (blogging award) for the best Diarist, her life takes a drastic change. She's offered a book deal, and she learns what she really needed to learn: how to speak up for herself. 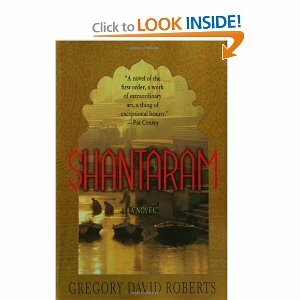 A friend of mine recommended that I read Shantaram before going to India. She said that it would help me prepare for the differences there, at least a little bit. There are 5 parts to Roberts' novel / autobiography. I was completely engrossed in 4 of the 5. There was one entire section though that had me wondering just how true this account is. It's a very good book. Anyone going to India should definitely read it. I laughed. I cried. And, I'm really glad that I could buy it for my kindle so I didn't have to lug around a 1000 page book. There were parts that I had to read aloud to Jonathan because they were so funny. And I think I made more notes in this book than I have in any other since high school. I am truly impressed with Roberts' writing style and ability. Shantaram is about Roberts' life as a fugitive in India. After escaping from a prison in Australia, Roberts flees to India where he re-discovers love, life in the slums, and eventually works for the Bombay mafia. I've been a book trading fiend lately. And this one is no exception. I've read books by James Patterson before. I'm always amazed at the difference in his writings between his suspense / murder mystery stories and ones like this one, romantic chic-lit. Who knew that Patterson had a 30 year old woman living inside him? Well he writes like one anyway. 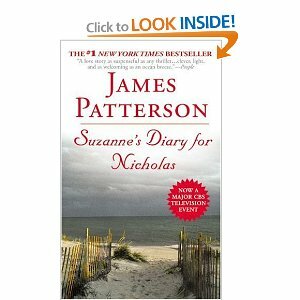 In "Suzanne's Diary for Nicholas", Katie finds a diary written by Suzanne for her son Nicholas. Katie learns that her boyfriend is Suzanne's husband. Of course, Katie is devastated. But, she can't stop reading. A story of love, loss, and learning is in your hands when reading this book. To be honest, I found it predictable. It was nice, and enjoyable, but I knew what was coming the whole time I was reading it. "American Gods" is the book I traded "The Beekeeper's Apprentice" for on another take-a-book shelf. To be honest, the trade wasn't as good as the one before it. 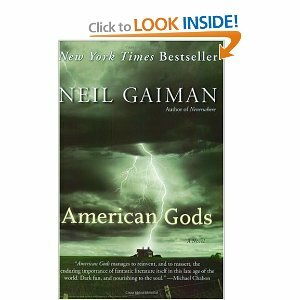 The only reason I picked up "American Gods" is because it's by Neil Gaiman (author of Stardust and Coraline). I loved both of those. So, I thought I'd give this one a try as well. There are some very intriguing ideas behind the book. I really like the idea that all gods are brought to power because someone believes in them. And that they cease to exist when people stop believing. As far as the story itself goes, I wasn't very impressed. But I did enjoy contemplating the themes behind the story. What are your thoughts? I would love to discuss this book with someone who's read it. 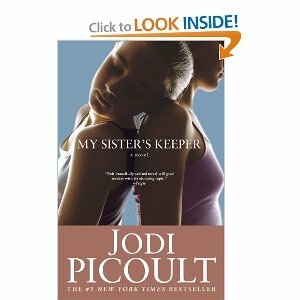 Last year, I watched the movie My Sister's Keeper. So, I read the book pretty much knowing what was going to happen all the way through. But, it is still and endearing story. Picoult's writing continues to amaze me. I'm behind the boat on reading the book, and if you've seen the movie, there probably isn't any real reason for you to read the whole book. But, you should read the last few chapters. They're different than the movie. And, I have a hard time deciding which ending I like better. The Potluck Club by: Linda Evans Shephard and Eva Marie Everson. by: Linda Evans Shephard and Eva Marie Everson. I got this book for free on my Kindle. That's the only reason I read it. Why I finished it is anyone's guess. The women are all shocked and dismayed that there's a young woman who became pregnant before she was married. The whole town is embarrassed and wants little, if anything, to do with her. She's the niece of the founding member of the potluck club. There's the town reporter who basically spies on the women of the club, calling it research. Then there's the Texas transplant whose relationship isn't working out as great as she hoped, and here's a shocker - it's all because the two of the can't communicate. 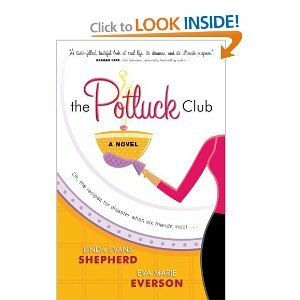 Posted by Carrie on May 6, 2011 05:17 AM The Potluck Club by: Linda Evans Shephard and Eva Marie Everson. This is the book I am reading now. Everyone worth Knowing...is it worth everyone knowing? Surrogates - would you have one?